Can I join if I am not a maple producer? What is the cost and how do I become a member? Cost is $15, $35, or $150 per year depending on membership level as shown in the application forms. To join, use the form on this page or simply Download Membership Application and send it in with your payment. Online payments are done securely via PayPal (you do not need to be a PayPal member). The OMPA will not sell or trade your contact information. Would you like to be listed on the OMPA Website? 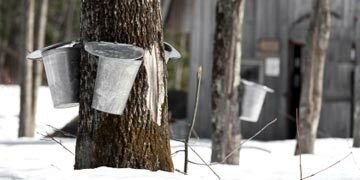 As a member of the Ohio Maple Producers Association, I agree to meet current standards for the production and sale of all maple products and promote maple production whenever possible.